Homestead & Simple Living Sites By State! Homesteading Blogs Sorted By State! A few weeks ago a reader suggested that since cooking directions can change based on altitude and gardening plans can differ based on planting zones, someone should compile a list of homesteading / Simple Living blogs separated by the areas they reside in. BRILLIANT, and challenge accepted! Such a list is helpful for not only the reader of my blog but also for all blog readers, so below you’ll find a list of awesome blogs separated by U.S. location and there’s even a spot to list some great blogs from our Canadian friends below! I’ll place this list on a separate tab on my blog so it’ll always be easily accessible and I’m asking all blogs included in this list to share this list on their own blogs as well. Since many of our readers are from Texas I’ll start there, but the list is separated by U.S. states below. C’mon y’all, check it out and show some love to some awesome blogs! http://texashomesteader.com/ – I share a glimpse into daily life on a Texas homestead whether it’s spending time in the garden, canning that excess produce or puttering in the kitchen whipping up simple yet delicious meals. My focus is on self sufficiency & living gently on this big, blue planet we call home. http://www.picklecreekranch.com/blog.html – Post topics include the ranch and activities there, such as the way we catch rainwater to sustain water needs in the cabin. Others articles include cooking or gardening and do it yourself projects. Usually my posts will reveal ways to use essential oils in a practical manner. http://www.pasturedeficitdisorder.com – Writing, blogging and photographing life on a Texas homestead. We are learning to build, grow, cook and preserve as much for ourselves as we can. https://blessedinbowie.blogspot.com/ – I am 60-odd, and getting odder every day, just ask my family. I am a wife, mom and homemaker. https://willowcreekfarm.wordpress.com/ – We are a small, backyard homestead located in the Rocky Mountains of Colorado. Topics include high-altitude homesteading; raising sheep for wool, meat, and milk; chickens for meat and eggs; rabbits for wool and meat; dairy cows; multi-purpose backyard farm collies; growing, harvesting, and preserving fruits and vegetables; hunting and foraging in the Rockies; and more. http://mymaplehillfarm.blogspot.com/ – We currently live in Central Florida, with plans to move to Central North Carolina as soon as our home sells. We are suburban homesteaders moving to a more rural landscape where we will continue to homeschool, make our own bread, scratch cook, repurpose everything we can, and live a pragmatic and simple life. http://mountaintopspice.blogspot.com/ – I garden, have chickens, and simple living is how we live, having downsized this past summer from a 2000+ home to a 800 sq foot home. 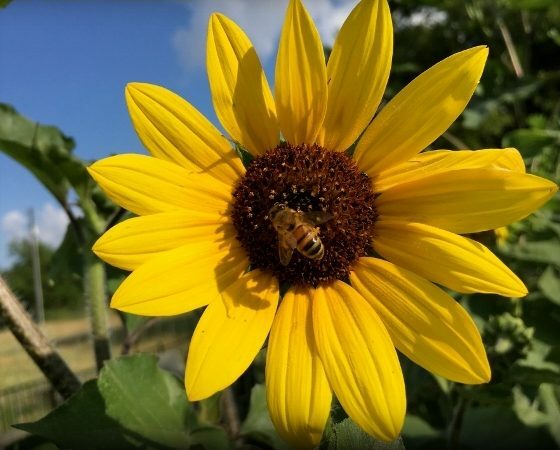 http://www.thefarmwife.com/ – Blog account-to-date of my learning experiences on Paradise Plantation, our sixty acre farm in Northwest Louisiana. https://donteatitsoap.com/ – Writing about hand crafted soap, bee keeping, farming and more. http://www.betterhensandgardens.com/ – A blog about chickens, gardens, goats, honey bees and DIY. We’re on 10 acres, are trying to do things all naturally, and I occasionally consider getting organic certification. http://llfarmblog.blogspot.com/ – We share a splash of HOME, a dash of GARDEN, a sprinkling of RECIPES, all mixed together with some DIY, and a few ANIMALS. http://thelocustblossom.blogspot.com/ – Producing &/or sourcing most of our food locally, while being good stewards of the land and producing as little waste as possible. Our goal is to make this look aesthetically pleasing as well. http://www.picklecreekranch.com/index.html – Post topics include the ranch and activities there, such as catching rainwater to sustain water needs. Other articles include cooking, gardening and do it yourself projects. Usually my posts will reveal ways to use essential oils in a practical manner. https://melissaknorris.com/blog/ – I’m a 5th generation homesteader who married a city boy… We raise 100% of our own meat from our organic grass fed beef (holler to the sturdy white faced brown Herefords), a flock of hens for fresh eggs, meat chickens we butcher ourselves, and organic pork. http://www.justplainmarie.ca/ – I write about anything that improves your life and is green, sustainable and frugal: chemical-free gardening, simple homemaking, food preservation, developing new healthy habits and much more. http://www.growingwildroots.com/ – I’ll be sharing more preserving, gardening, cooking, and farm-family raising. http://powellriverbooks.blogspot.com/ – We live in an off-the-grid float cabin on a lake in Coastal BC. I blog about gardening, cooking, exploring the backcountry, and everyday living in this unique environment. https://livingmydreamlifeonthefarm.com/ – My blog is filled with critters, recipes, gardening, and putting up. It follows the season’s in regards to the ebb and flow of a busy active farm. So there ya go, what do you think? It’s a list of great blogs and being broken down by region is a great resource, no?? I’m asking all those who have been included on this list to publish it on their own blogs as well, hopefully as a separate tab so it’s easily accessible whether next week or next year. This entry was posted in Blog Posts and tagged Cooking, Environment, Gardening, Make-It-Yourself, Small Town Living on June 4, 2016 by Texas Homesteader. This is wonderful, and I can’t wait to visit these sites. I would love for The Farm Wife to be added – I’m in Louisiana, a state that isn’t on the list yet. Let me know if it would be a good fit for this list!! Great idea of sharing homesteading blogs by states.I like that. Thanks for sharing a huge list of homesteading blog sites. I’m sure I will get there good information about homesteading. This is awesome!! I’d love to get added for my state of Virginia if you’re still adding folks! Check out my blog http://www.thefrugalvirginiafarmhouse.com and let me know if you think you’d be interested in listing me! I would appreciate for Kansas, my blog could be referenced! I too am a cancer survivor- non-hodgkin lymphoma. Your list will be reviewed and will visit each site- thanks! Hi! I just found your website through the Homesteader Blog Hop! I saw Nevada is not represented! Maybe I could be our state’s rep in your list? 🙂 It’s http://www.HealingHarvestHomestead.com I love your articles, and I will be taking a look at that Honeysuckle Jam recipe too! Wow! I’m looking forward to exploring each one of these. I enjoy reading about different places around the country so this list will be a great source. Thank you SO much for putting all the hard work into this list Tammy! I feel like June was a bit of a blur (son graduating, in between two trips and just life! ), and I apologize for just now getting by to visit! I will be bookmarking this page so that I can visit the blogs you have listed here 🙂 You do a great job with all the wonderful tips you share, and I will be sharing this resource on my blog as well! Thanks again! This list is great. I’m going to check some of the other blogs out. Thanks for sharing on Merry Monday. What a great resource guide!! Thanks for sharing on my 2 favorite things on Thursday!! Hope to see you again!! Pinned!! Love this!!! I see my state (Ohio) only has two listed, would you consider adding mine too? http://www.incidentalfarmgirl.com. What a unique idea, thanks for the list! Love this list! Super helpful, and it’s also great to know about so many new blogs. Thanks! This is such a great list! Thank you for including mine! Great list….looks like I have some reading to do!! Thank you so much for including my blog! I see some other great ones on the list and I can’t wait to explore them further. Tammy, this is fabulous. I’ve already browsed through several but am not done yet. Thank you! Thanks for including our homestead at Willow Creek Farm! What a great resource this is. I’ll be posting on my blog about it soon. You did an awesome job! Thank you so much for including me, it’s a great resource. I love that this resource list is by region. That way, I can not only check out things going on in my area (planting dates, events), but also see what’s happening in other parts of the country. It’s ALL GOOD! Thanks for including Maple Hill 101! We are honored to be among so many great blogs! I want to include this post on my blog, but am not sure how to go about it. I can’t seem to copy and paste the entire thing. Let me know if you have a suggestion. Thanks. Thank you Tammy!! That was a lot of work! I appreciate all the time you have put into this article and now we have a great resource to refer to. This is a very helpful list. I found several that I wanted to check out. I appreciate all your work, putting it together. What a great list, thank you for all your hard work.